How and where will Vancouver and its region accommodate increased population? In densifying neighbourhoods, where do issues of fairness, democracy, ecology, and community preservation come into play? Should any community preservation come into play? Shold any areas be off limits? 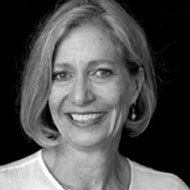 Joyce Drohan, Director of Urban Design at Perkins + Will Canada Ltd., is an architect and an urbanist whose focus is sustainable communities. A lead member of master planning teams for South East False Creek and East Fraserlands, she helped to forge Vancouver’s reputation for good city-building. Consistent to all her projects is balancing viability, amenity and growth with livability. 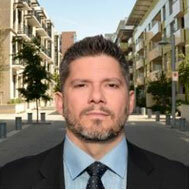 Brent Toderian, city planner and founding principal of TODERIAN UrbanWORKS, is a consultant and thought-leader in advanced urbanism, city planning & urban design. 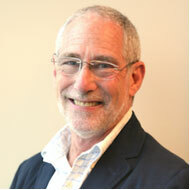 He advises cities & best-practice developers across the region and globe, after six years as Vancouver’s Chief Planner. Brent is President of the Council for Canadian Urbanism, a regular CBC radio columnist, and a writer for many publications. Mike Goldberg, Professor Emeritus of Sauder School of Business, joined UBC in 1968, was Sauder School Dean and AVP International and studied cities, their transportation, housing and land use systems and global competitiveness. He is a director of Canada Pension Plan Investment Board; Vankic China Fund; Chair of Surrey City Development Corporation, a member WorkSafeBC’s Investment Committee. 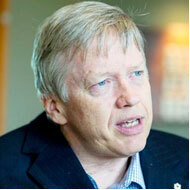 Sam Sullivan, MLA for Vancouver False Creek, is a Member of the Order of Canada and former Mayor of Vancouver. As Mayor he championed densification by creating the Ecodensity Initiative and he has served as Adjunct Professor at the UBC School of Architecture and Landscape Architecture. Experts dispute the future of our region. You decide. Teams of experts argue competing visions for solving Metro Vancouver’s biggest challenges. Audience members vote before and after each debate, a prize awarded to the team who changes the most minds. Sponsored by Urbanarium and UBC School of Architecture and Landscape Architecture. Our future well-being relies on intelligent city building. This requires an engaged and informed citizenry. The goal of URBANARIUM is to provide the Metro Vancouver community with a platform for making dialogue around urban issues accessible - how our urban systems and the forces acting on them work, what urban futures might happen and what we can do to affect those outcomes. We are a place where people can get reliable information without political or ideological bias. We create tools and projects to discover more about ourselves and our city. The Urbanarium is supported by the passion, time and financial contributions of many individuals, organizations and companies. 2019 © Urbanarium Society. All Rights Reserved.